This article lists the top 8 mobile UI kits for designers to get inspirations and save time spent on brainstorming and testing on how those UI elements come together. To design a mobile app from scratch can be a fun but time-consuming task, and the well-made UI kits will get you started on the next project much faster and easier. Here, we’re going to discuss the best mobile UI kits which are compatible with either Android or iOS, along with customized screens and mobile UI elements for each one. As they are in the form of PSD and AI files, it’s easy for you to make further changes and adjustments. 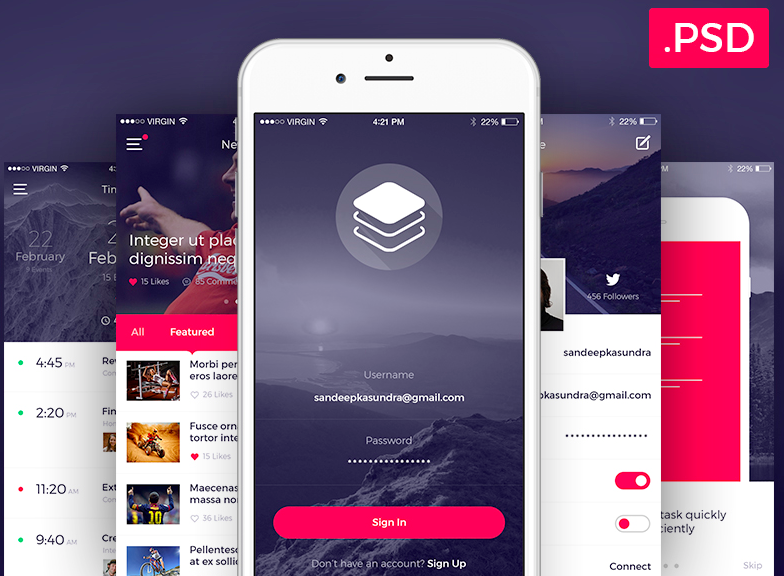 As the name implies, it’s a modern and well-organized UI kit for iOS designers. There are several highlights for its success, including a minimal beautiful signup and login screens, introduction screens for product guides, a screen for news section on your app, a calendar screen for task managing. 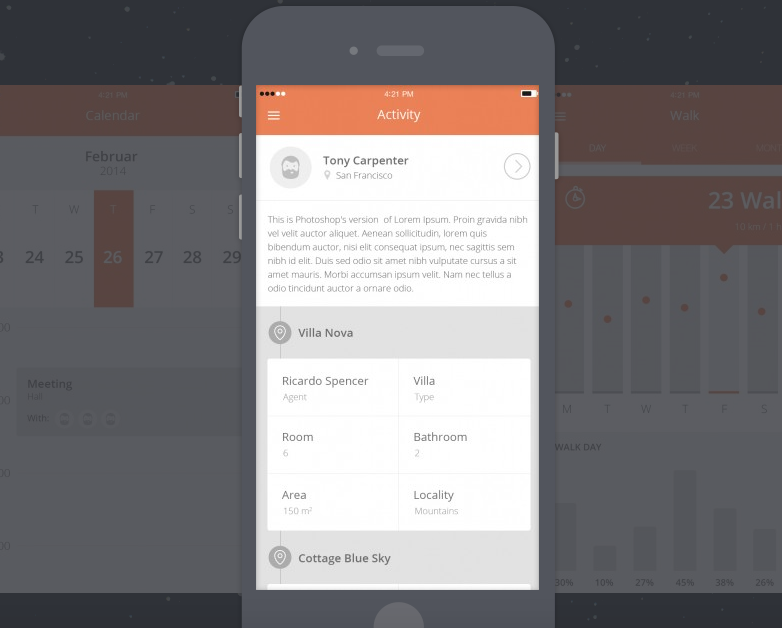 It’s quite easy to transform this design into a mobile app prototype and its color scheme looks awesome also. Created by Adrian Chiran who loves sharing best mobile UI templates and his work with other designers, this is an elegant choice for iOS that includes twelve individual screens. The first screen, similar to Instagram, is for community sharing and enables users to tag their own locations. Also, there is another screen for a sign-in screen and message box, which can track different user profiles and compare the performance. If you want to take your designed mobile apps to the next level, then you cannot miss out this one. Much like the Evernote and CloudMagic Email & Calendar, it makes good use of material design which has been widely used by big brands and businesses. From here, you will find all the default screens that you need to start an application prototype. As of now, it has over 23.8K downloads. 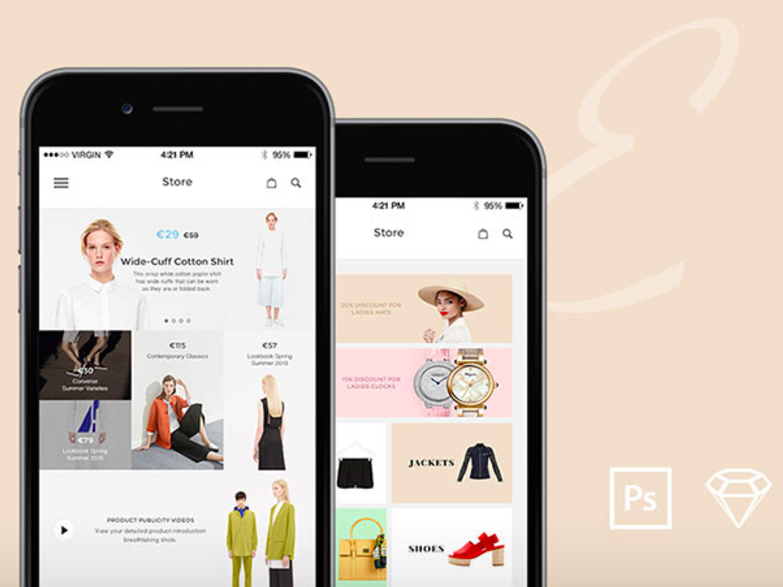 This is one of the best mobile UI patterns, and a total of 12 industry-standard mobile screens in the form of PSDs included, with the main focus on eCommerce. This kit is in rich of screens, which can be used to make any prototype presentation for your business meeting. 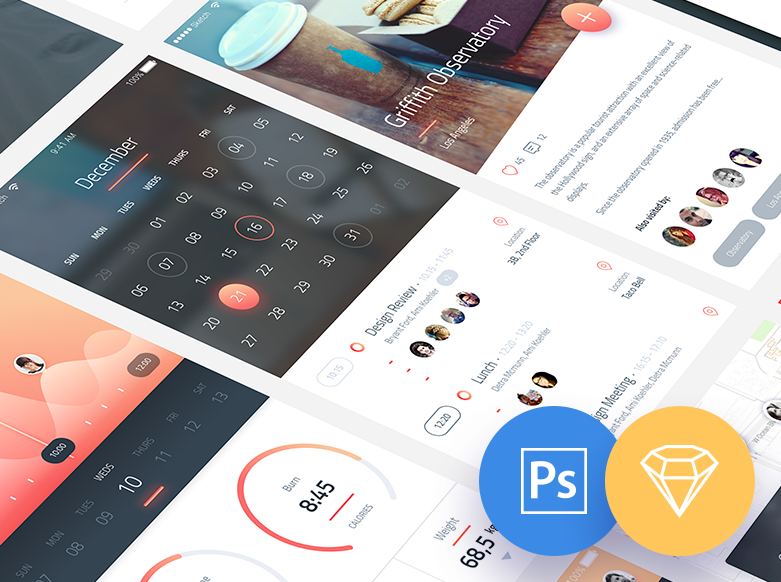 It’s an ideal choice for UI designers to try and get into the business app design market. It’s always not cheap to hire a mobile designer to make a good prototype, and this template is such a freebie that includes around 100 unique UX/UI elements that can be used to prototype your apps. Also, if you want to save time on creating an app of this kind, then use AwesomeKit to achieve all the necessary works for building the interactive prototype. It’s built for iPad and iPhone users. 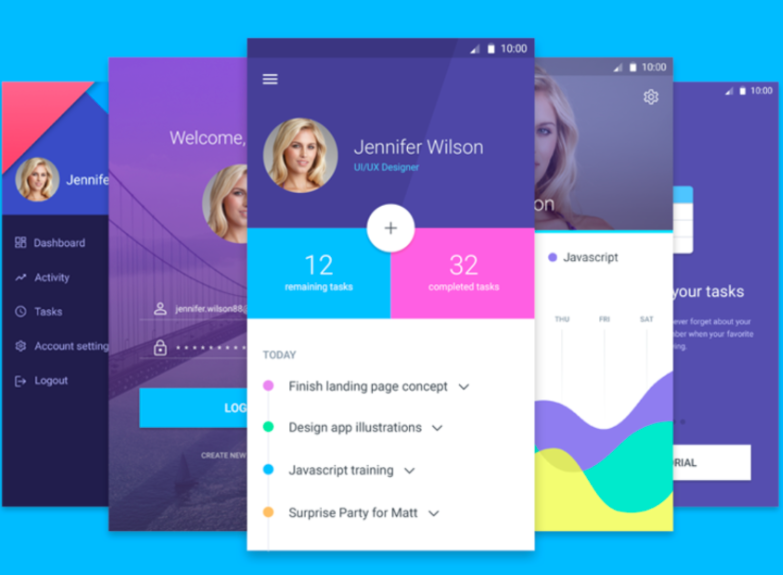 The creator, Kristijan Binski, firstly built his page design by using the same design scheme and color as in the Flat Mobile App UI template. With so many screens included, you can easily make food-related projects in this kit ready application. 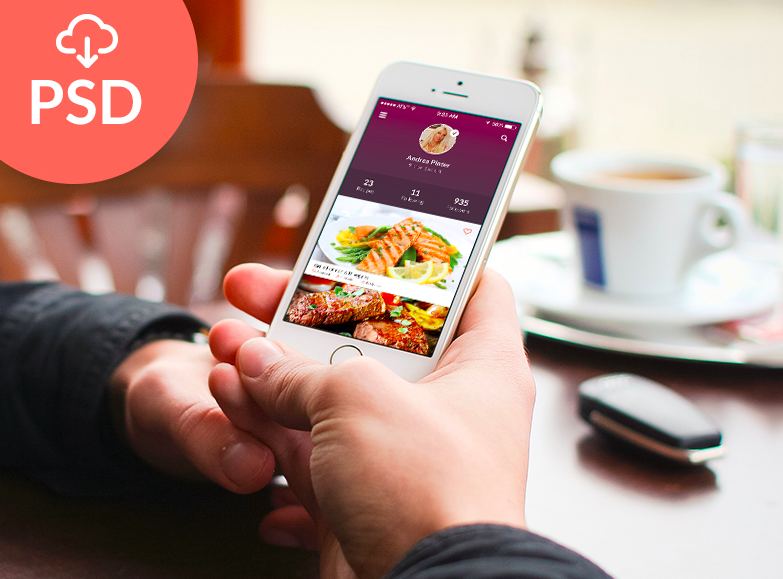 It’s at your option to turn a food app into social network, as they share many similar functionalities. It’s common for all tablets and smartphones to use Android mobile operating system, and the one thing that users recognize Android is the design. 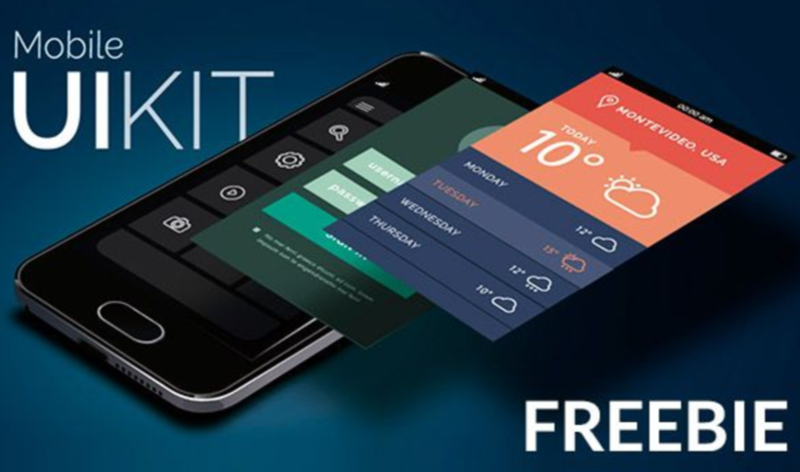 In this UI kit, almost all of the mobile UI kit freebies are full versions of apps, with each element given individual screen. It’s great to use these packaged PSDs to make user-friendly Android apps with material design added. 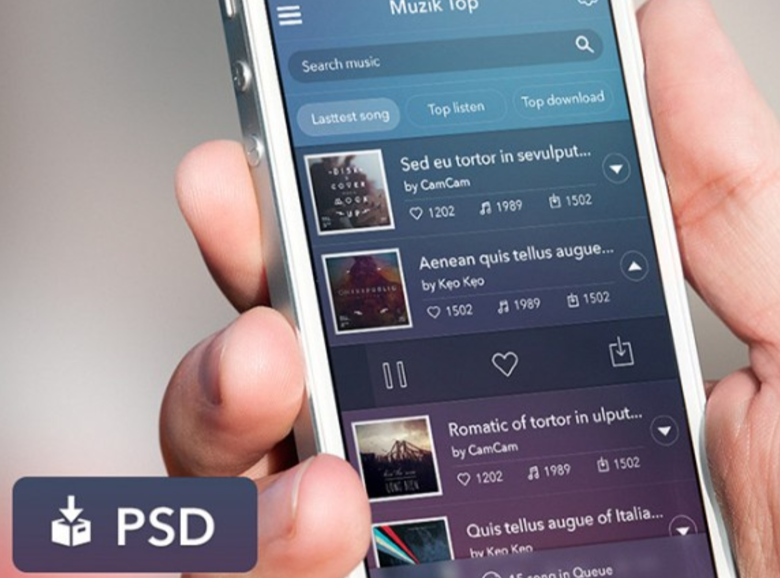 If you feel the difficulty making iPhone music app, then you can take a look at this UI kit. It’s one of the best mobile UI templates on the marketplace, with the aim to inspire designers and developers individually to create nice-looking apps that can encourage user engagement. 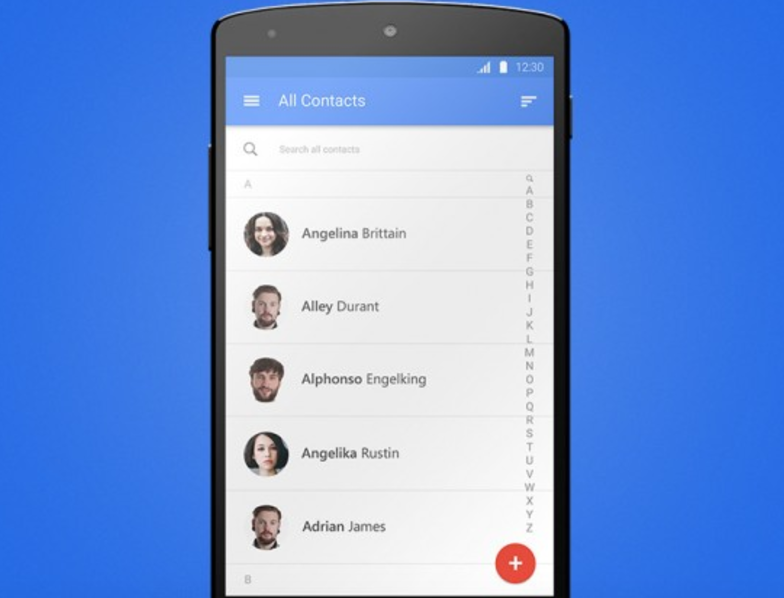 Its design is precise and also integrates very well with the newest iOS design modules. Above is our collection of the best mobile UI templates that can be perfectly used in your design. There are more design templates on the web, and please feel free to let us know in the comment if you find something that we’ve left on this list.